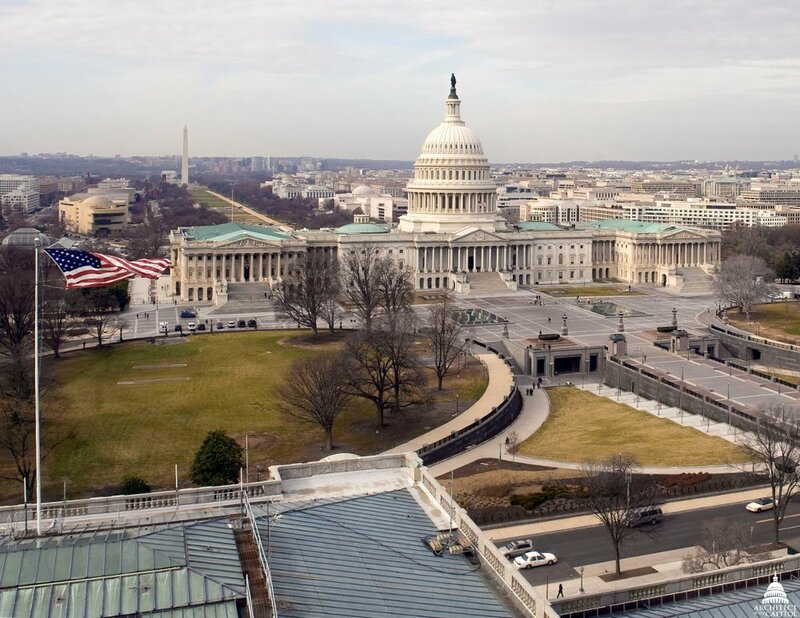 The Architect of the Capitol's (AOC) legacy is rooted in the very beginnings of Washington, D.C., with the laying of the U.S. Capitol cornerstone in 1793. As the country grew, so did the Capitol campus and, with it, the AOC's responsibilities. Over the course of our storied history, the AOC's footprint has increased substantially, and today we operate and care for more than 18.4 million square feet and 570 acres of grounds. Along with the sheer growth in size, the complexity of operating these facilities has also changed significantly. The number of people who work within and visit the campus has skyrocketed, with thousands of daily occupants and more than 4.5 million annual visitors from throughout the U.S. and around the world. Here are a few key buildings that have contributed to the AOC's dramatic rise in square footage over the years. 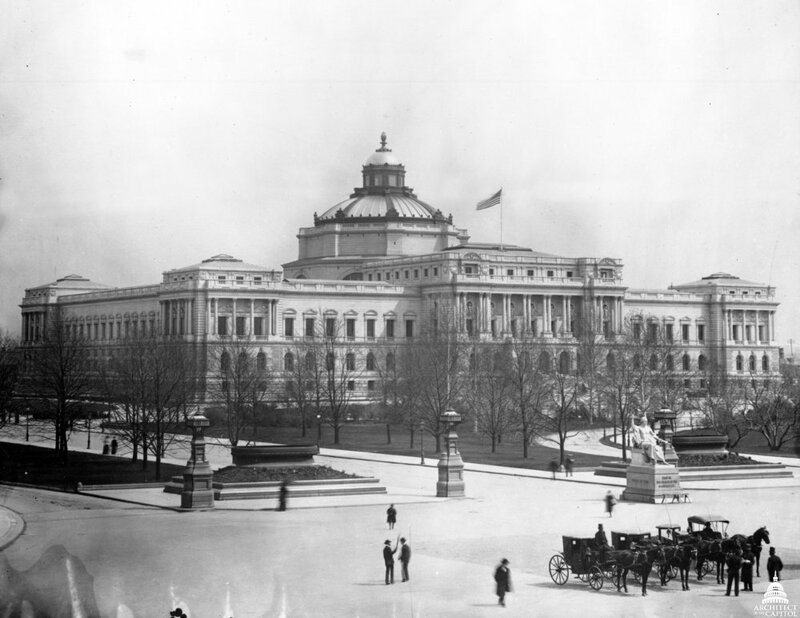 When it opened in 1897, the new home of the Library of Congress (LOC) was considered the most beautiful, educational and interesting building in Washington. In support of the largest library in the world at over 4.5 million square feet, the AOC manages four buildings on Capitol Hill (the Jefferson, Adams and Madison Buildings and the St. Cecilia Special Services Facilities Center) as well as facilities beyond Washington, D.C. (including the book storage modules in Maryland and the Packard Campus for Audio-Visual Conservation in Virginia). 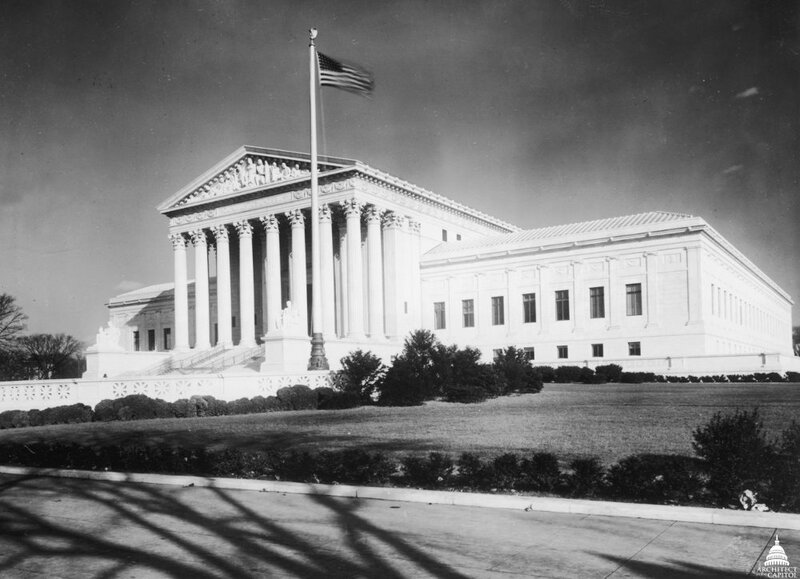 First occupied on October 7, 1935, Chief Justice William Howard Taft was behind the effort to provide the Supreme Court with its own 491,000 square foot building, moving out of the U.S. Capitol where it had been meeting since 1801. Although the courtroom could have been larger, Taft preferred a more intimate setting similar to the courtroom in the U.S. Capitol. The AOC also maintains the nearby Thurgood Marshall Federal Judiciary Building. The Hart Building was the third office structure designed and built to serve the U.S. Senate. The first occupant, Majority Leader Howard H. Baker, moved into the building in November 1982. 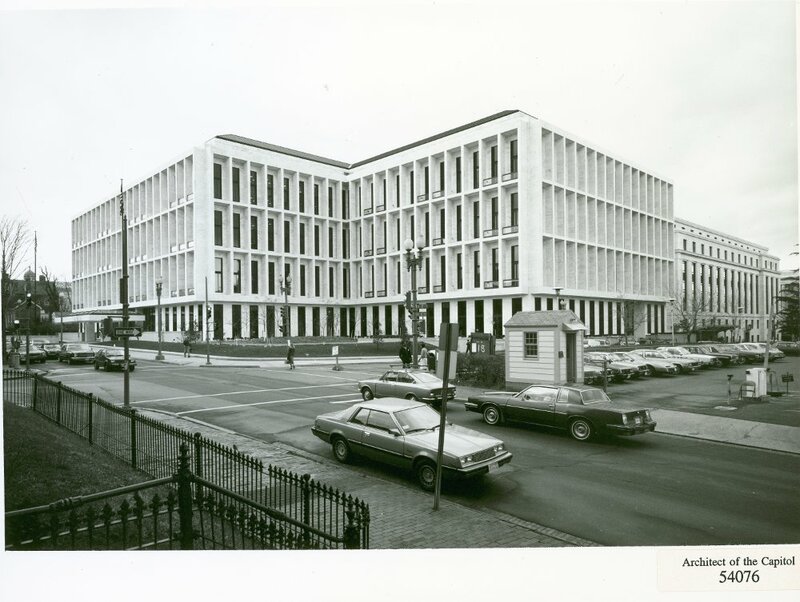 The Hart Building — the largest of the three Senate office buildings — added nearly 1.3 million square feet to the Senate's inventory of office and support space. 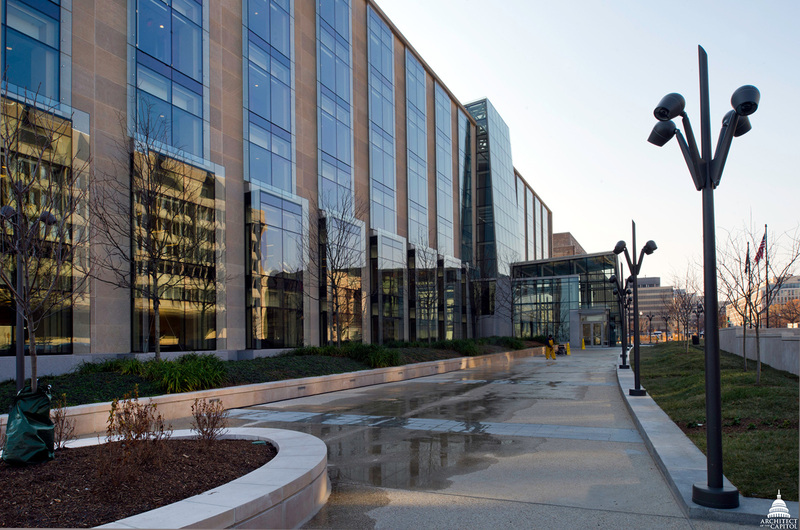 The building's solar panel system, dedicated in 2015, is one of the largest federal systems in the Washington, D.C., area and furthers the AOC's commitment to sustainable, cost-efficient energy reduction measures. Opened in 2008, the Capitol Visitor Center (CVC) contains over 677,000 square feet on three levels and was designed to make the U.S. Capitol more accessible, convenient, secure and informative for millions of visitors each year. The design located the CVC below the U.S. Capitol's East Front, so as to enhance rather than detract from the appearance of the iconic building and historic Frederick Law Olmsted landscape. Through national and international partnerships, outreach to schools across the country and a vibrant web presence, the CVC experience begins for visitors long before they set foot in the U.S. Capitol. 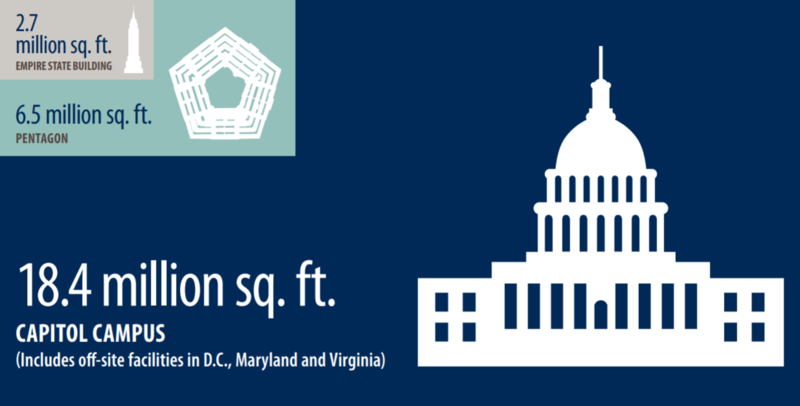 The newest addition, the O'Neill Building, was transferred from the General Services Administration in June 2017 and added nearly 549,000 square feet to the AOC's portfolio. Originally called Federal Office Building No. 8, the facility was renamed after the late Massachusetts Democrat and former Speaker of the House Thomas P. "Tip" O'Neill in 2012. The newly public building is occupied by staff of various committees of the U.S. House of Representatives, the Clerk of the House and legislative support organizations.